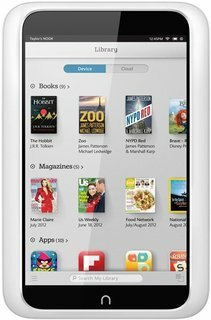 The Nook GlowLight isn't better than the Kindle Paperwhite, but it is a viable alternative for a couple of reasons. Firstly, it's cheaper upfront by £20. If you're looking for just a standard ereader with a backlight, then this will suffice. Secondly, the design is different enough from Amazon's sharp, black rectangle to give you a moment's consideration. If, like me, you've had enough of black and grey gadgets and like the thought of a clean white look, then this could be for you. Yes, it's massively subjective, but all I'm saying is consider it. 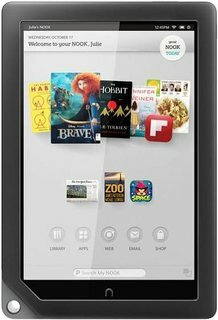 As an ereader the Nook GlowLight is a perfectly serviceable device – it has its drawbacks and there are omissions, such as microSD support. But if you're looking to pick up a reliable ereader with all the basic features you'll need and a bulging library of titles to take advantage of, then this is £89 well spent. 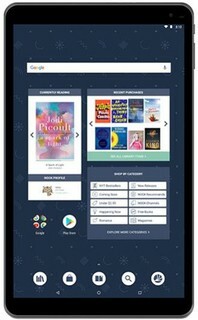 The Nook GlowLight is incredibly lightweight and offers some unique features, such as the button that takes the user back to their book, and the ability to turn the GlowLight off completely. However, the rubber bumper concerned testers, as they weren't comfortable with the fact that it came away from the device, exposing components. The Nook GlowLight is impressive due to its lesser weight, and brighter edge lighting than the Paperwhite. However, Amazon’s e-reader is still our favourite, thanks to its faster performance, more even lighting and font rendering, and the Paperwhite’s still best-in-class eBook store. 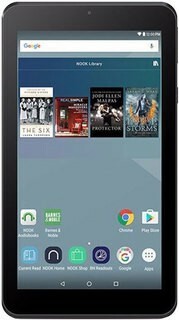 But if this Nook GlowLight speaks to you, then you can easily buy it with confidence when the device emerges this side of the pond. The new Nook GlowLight has a better screen and brighter light, but that light is still uneven, its lack of page turn buttons make it difficult to use for lefties, and the overall package can’t match the Kindle Paperwhite. Visit the Barnes & Noble Q&A Forum to get answers, ask a question or help others.